Milan, Italy (Nov. 6, 2018) – Cardo Systems, Ltd. the global market leader in wireless communication systems for motorcyclists, and Ducati Motor Holdings S.p.A. manufacturer of the world’s most attractive motorcycles, have partnered to produce dedicated PACKTALK units, designed in the classic Ducati red for the 2019 riding season. The collaboration represents the next evolution of Cardo’s commitment to integrate motorcycles and communicators. PACKTALK products are powered by Cardo’s proprietary and pioneering mesh technology (“DMC”) and give riders the ability to enjoy the company of their riding companions like never before by remaining seamlessly connected with up to 15 riders. Riders can also enjoy a safe riding experience utilizing Cardo’s unique natural voice-command by simply saying, “Hey Cardo” with the desired action to the always-on system and it reacts instantaneously. No other product in the market offers such seamless voice command technology, in 8 different langugaes. Users will have instant access to their mobile device, GPS and music. Plus, riders will enjoy world-class sound for the best riding experience possible thanks to Sound by JBL. In October, Cardo Systems and Bosch SoftTech announced the integration of the Cardo Connect iOS and Android smartphone application into Bosch SoftTech mySPIN for two-wheelers. The award-winning technology enables convenient use of Cardo Connect on motorcycles and other two-wheelers for a whole new connected riding experience without compromising safety.  Cardo Systems PACKTALK units will be available exclusively through Ducati official networkworldwide in spring of 2019. 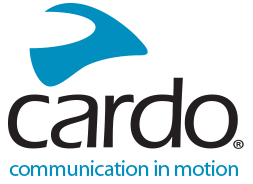 You can find more information about Cardo Systems at www.cardosystems.com. Also visit us and join the conversation on Facebook, Twitter and Instagram. Cardo Systems specializes in the design, development, manufacturing and sale of state-of-the-art communication systems for motorcycle riders. Since inception in 2004, Cardo has pioneered the vast majority of innovations for Bluetooth motorcycle communication systems. The company’s products, now available in over 85 countries, are the world’s leading communication devices for the motorcycle industry. Founded in 1926, since 1946 Ducati has been manufacturing sport-inspired motorcycles characterised by high-performance Desmodromic engines, innovative design and cutting-edge technology. With its factory located in Bologna’s Borgo Panigale district, in 2016 Ducati celebrated 90 years since it was founded. The model range covers several market segments with the following families: Diavel, Hypermotard, Monster, Multistrada, SuperSport and Panigale. In 2015 Ducati presented the Ducati Scrambler: a new brand made of bikes, accessories and apparel that provide the last word in creativity and self-expression. These authentic icons representing what the world knows as “Made in Italy”, together with an extensive range of associated accessories and technical and lifestyle apparel, are distributed in 90 countries globally. In 2017 Ducati delivered 55,871 bikes to customers, continuing the growth trend of the last eight years. Ducati competes in both the World Superbike and MotoGP World Championships. In Superbike, Ducati has won 17 Manufacturers’ titles and 14 Riders’ titles. Ducati has been competing in MotoGP since 2003, winning both the Manufacturers’ and Riders’ titles in 2007.